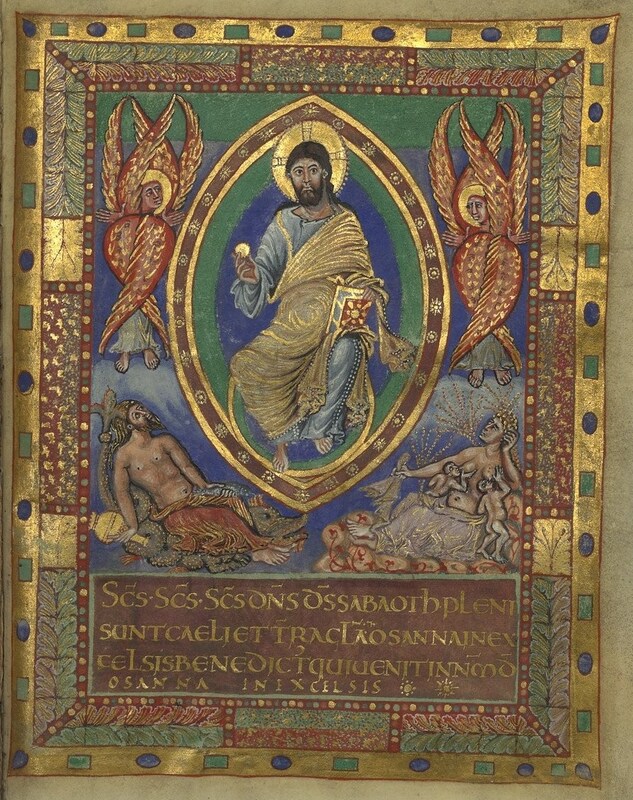 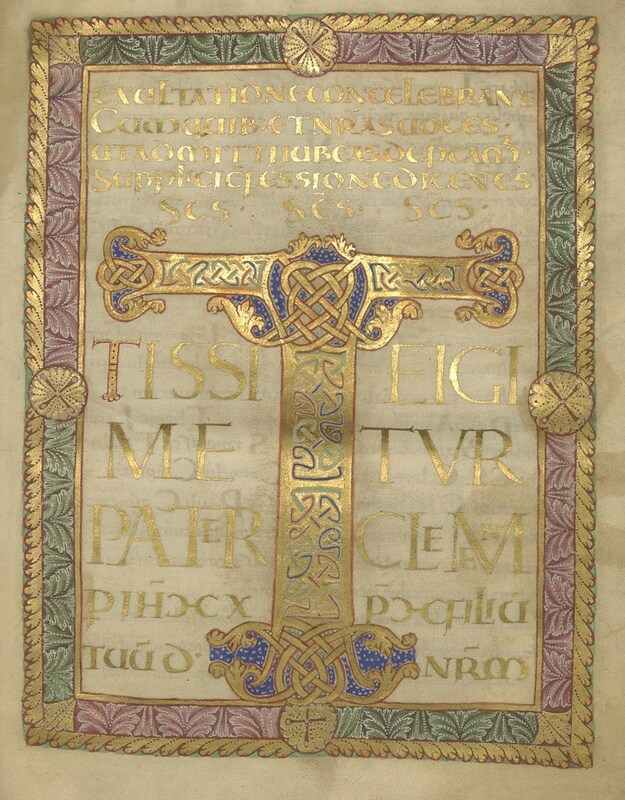 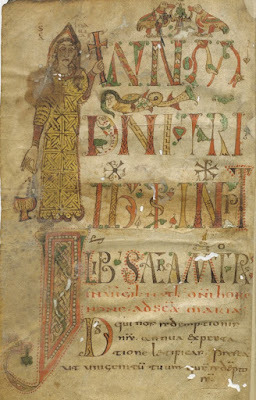 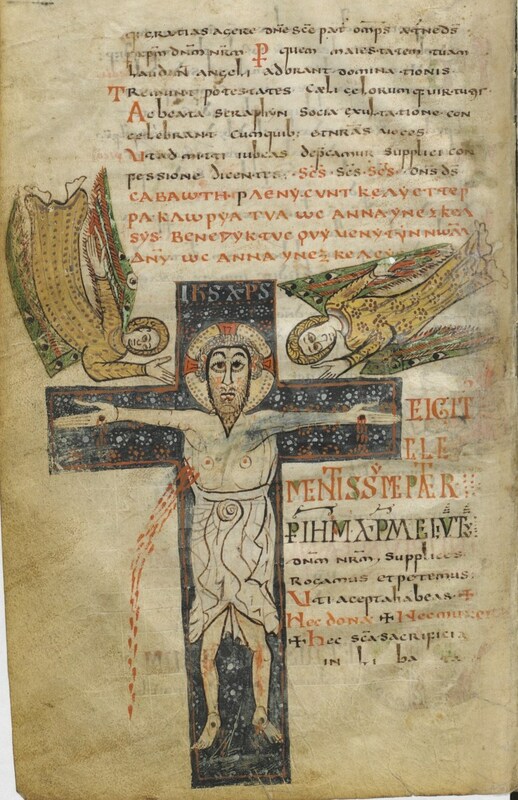 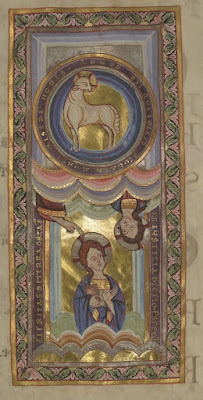 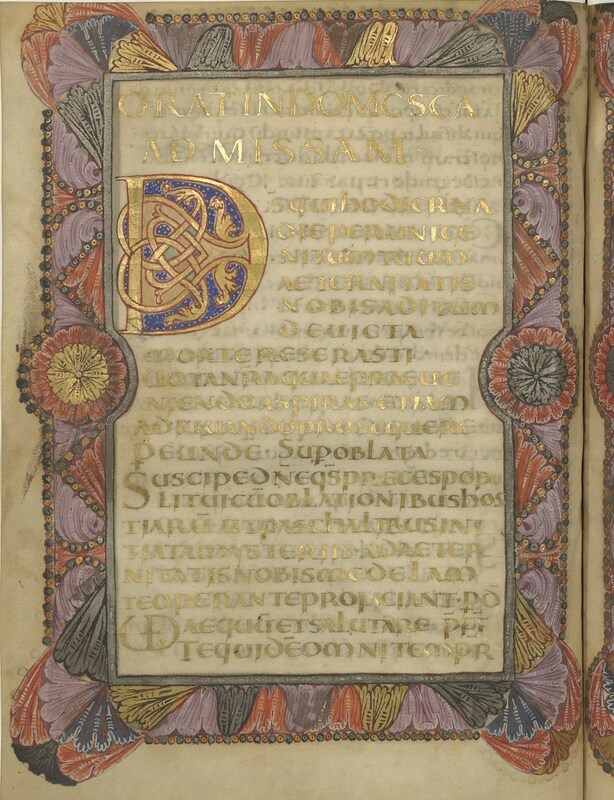 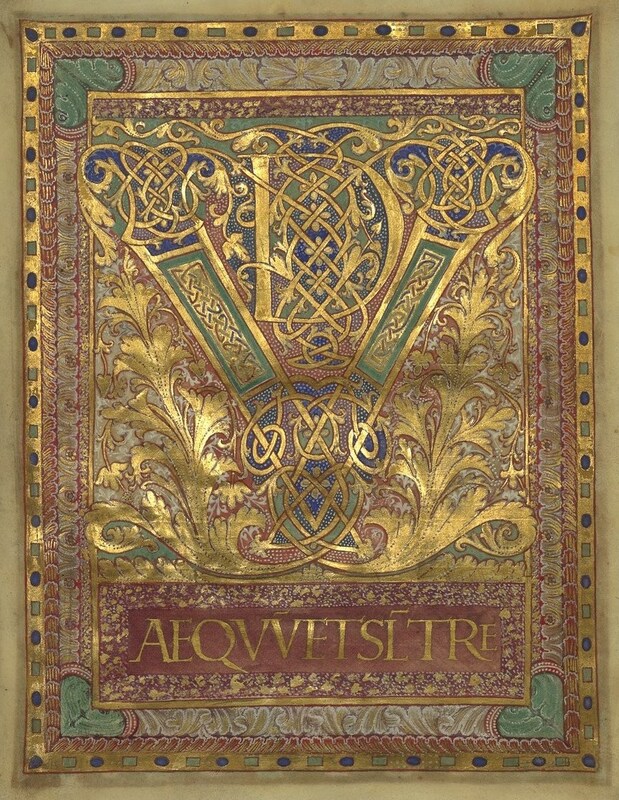 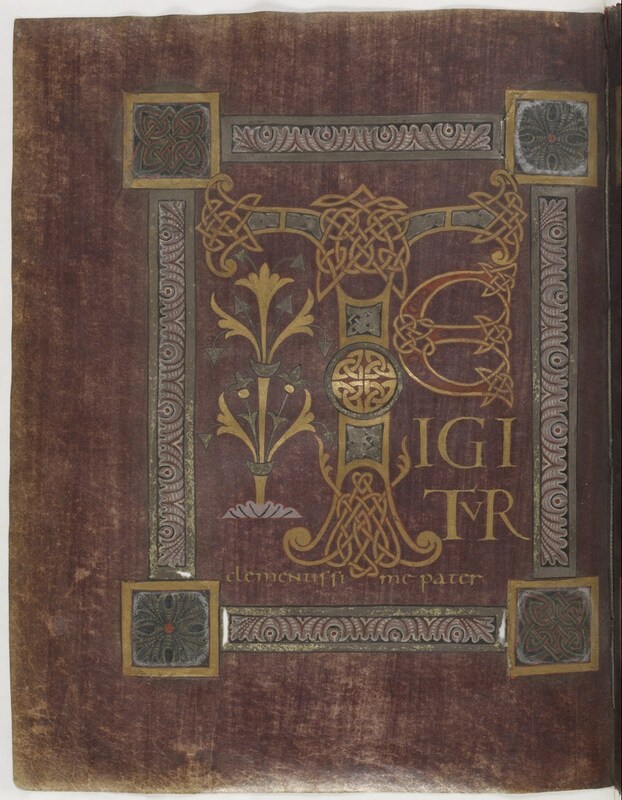 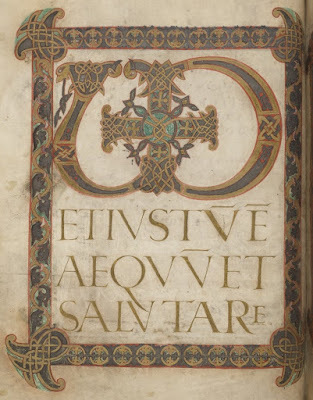 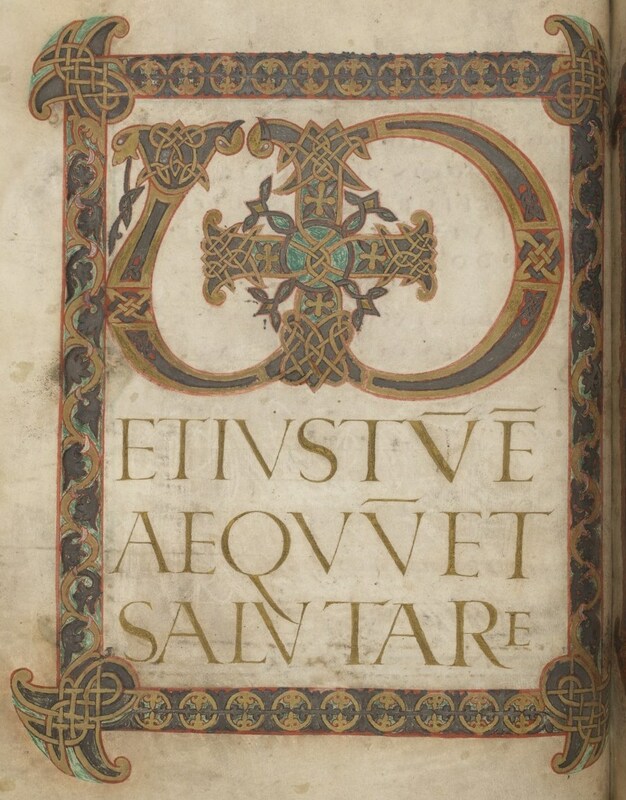 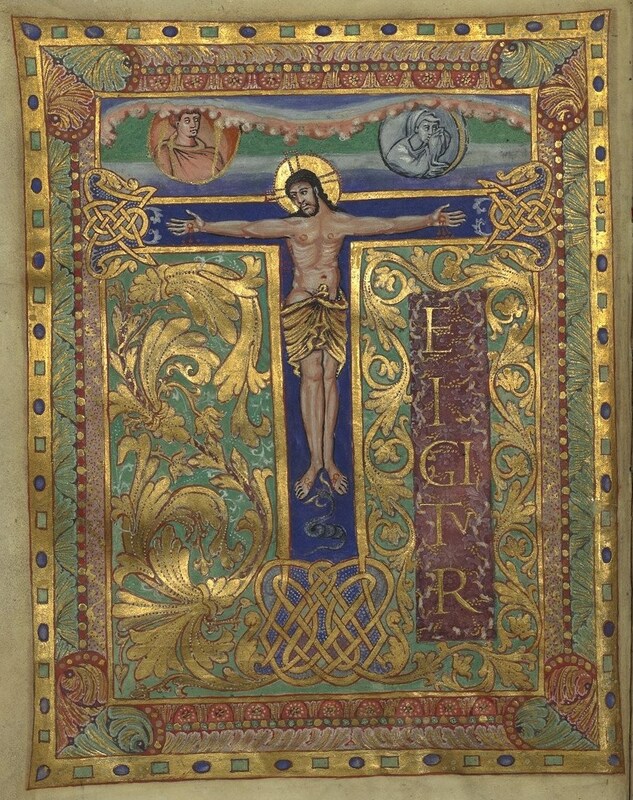 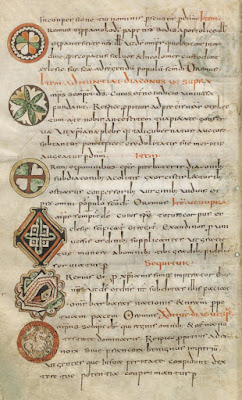 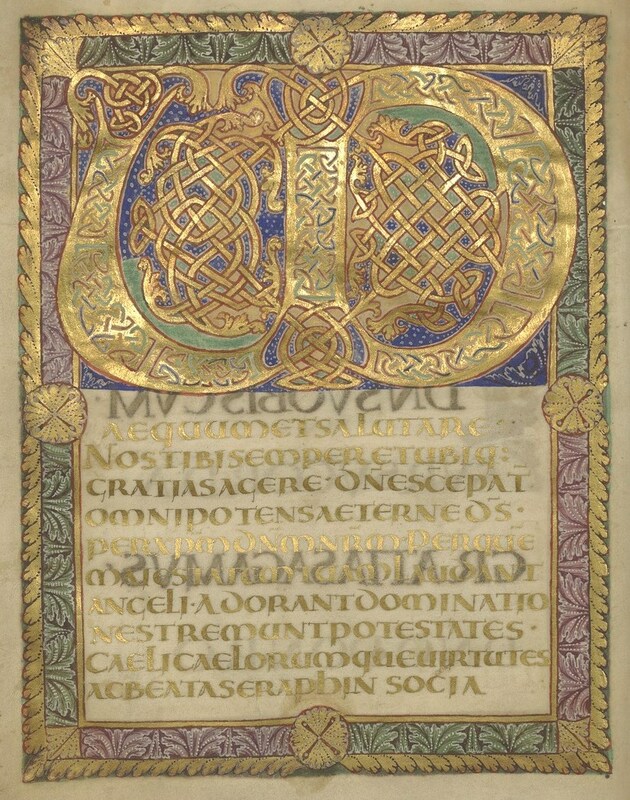 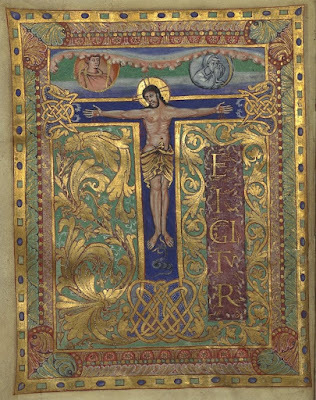 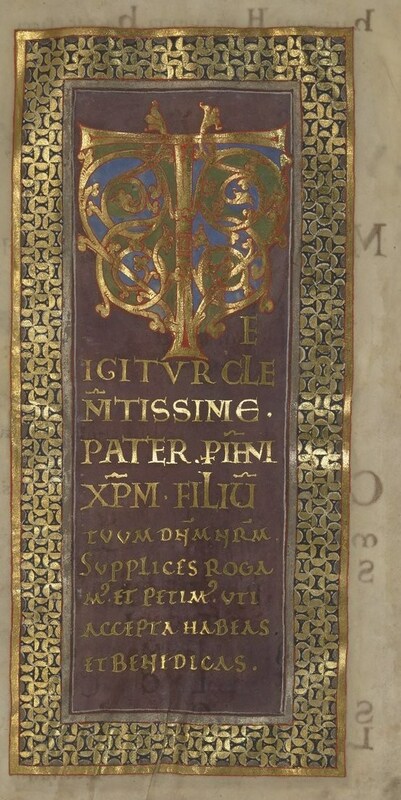 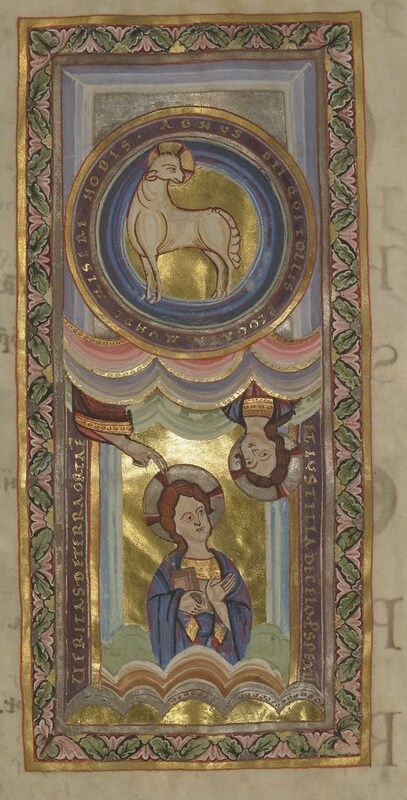 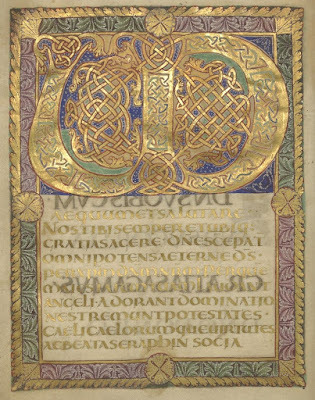 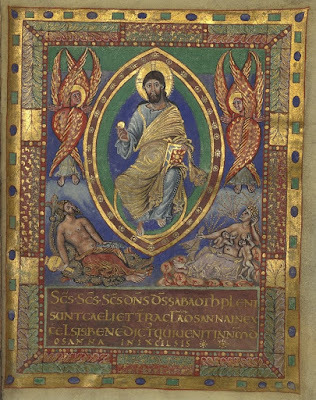 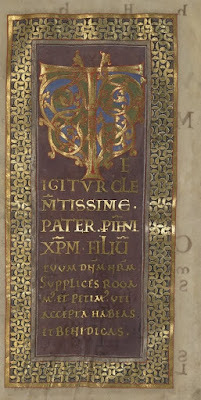 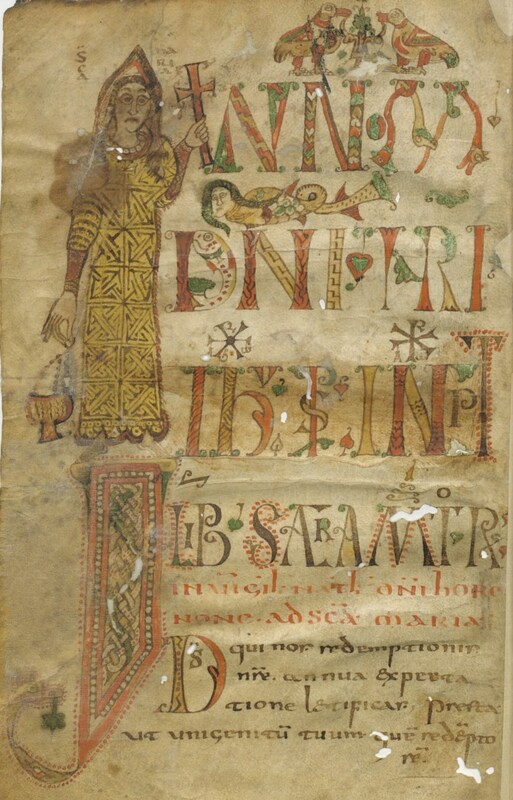 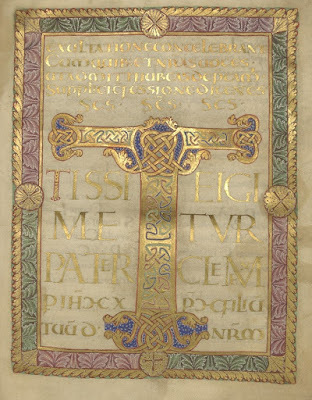 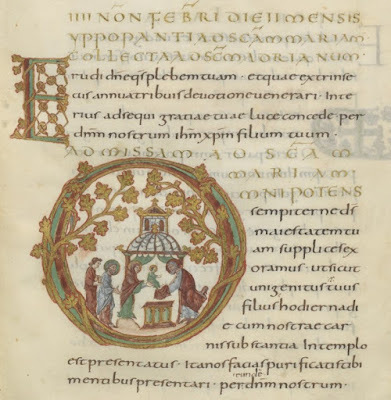 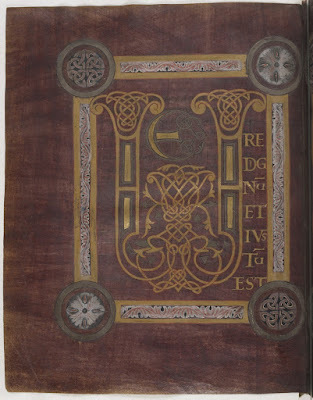 This is one of a number of Carolingian and post-Carolingian luxury manuscripts of extremely high quality, in which the pages are dyed with a very expensive purple material, a technique imitated from Byzantium. In this case, only six pages are dyed in this fashion, with the text of a very brief Ordo Missae and the Canon from the Preface to the Agnus Dei (folios 6-11). 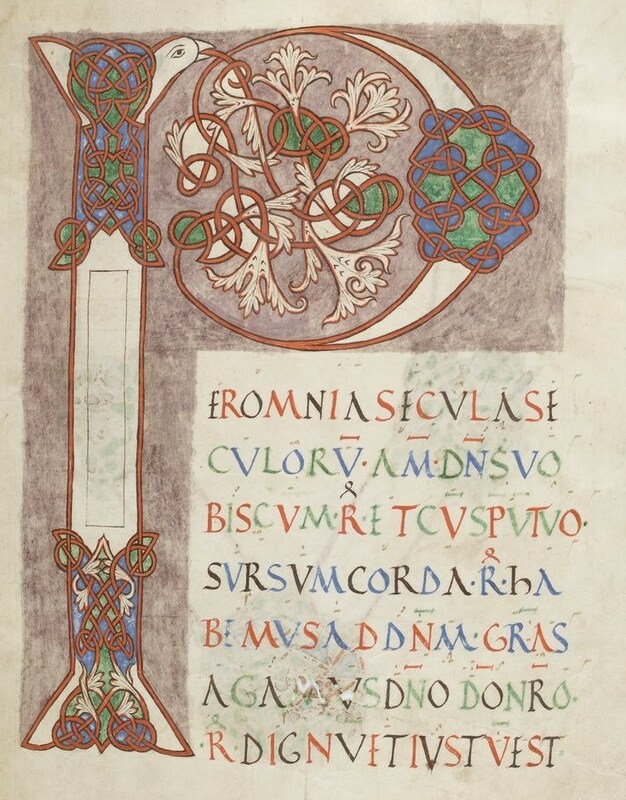 The first word of the Canon, “Te” (folio 20r). 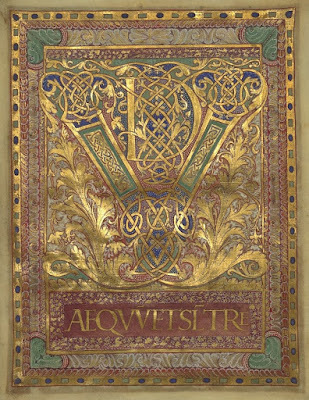 The use of a whole sheet for a single word of two letters indicates that this is also a luxury production. 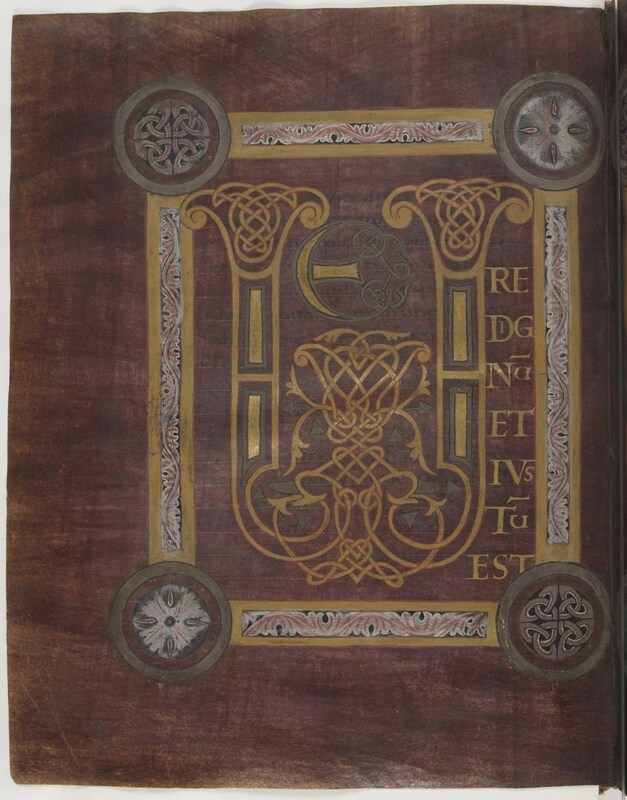 Ivory carvings on the cover, which is contemporary to the manuscript itself. Prayer on the feast of the Purification (folio 38r). 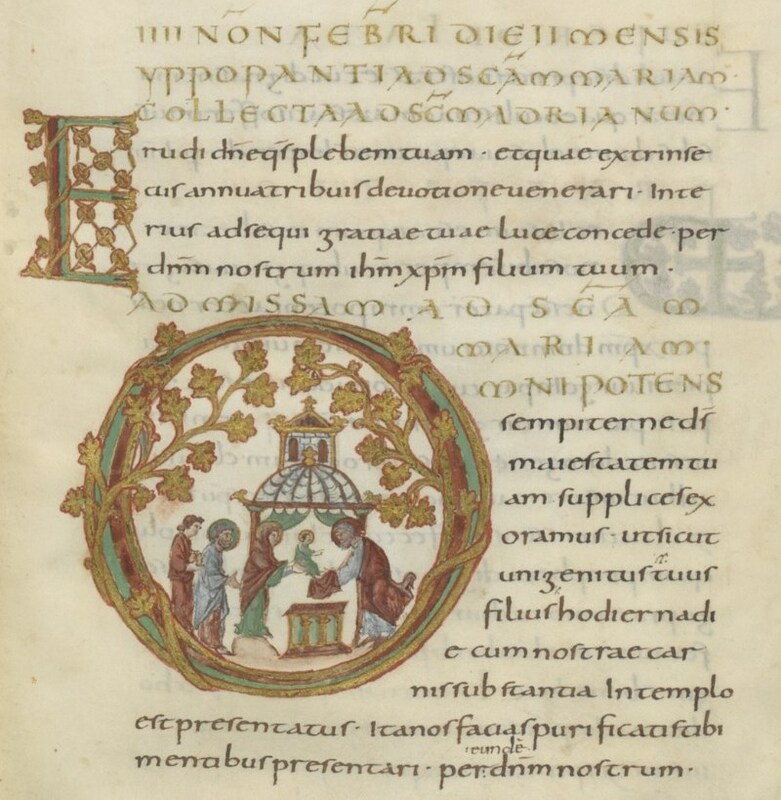 Note the lovely illustration of the Presentation of Christ in the Temple, worked into the first letter of the prayer.